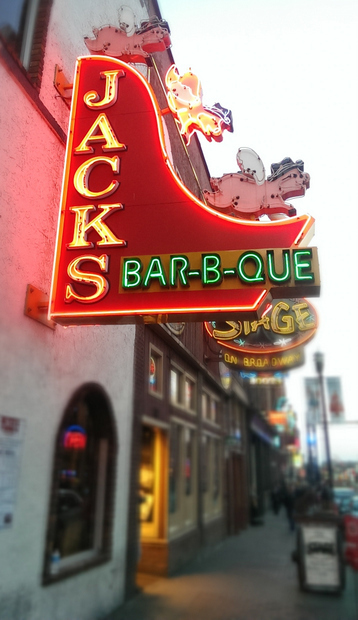 We had some amazing BBQ in Nashville, and one of our favorite stops was Jack’s Bar-B-Que. It was so good, we actually went back right before our flight so we could get some for our trip home. 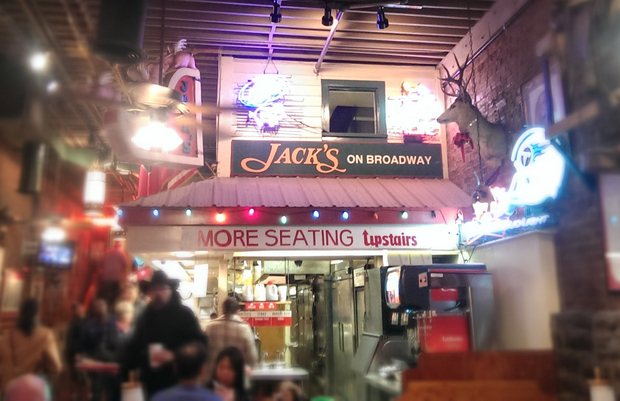 Jack’s serves a variety of smoked meat and BBQ styles including Texas brisket, St. Louis ribs, Tennessee pork shoulder, smoked turkey and chicken, and more. 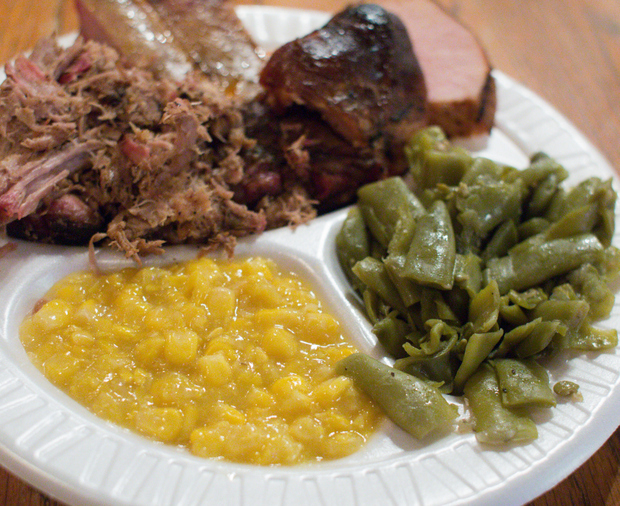 For $15.99 you could get a plate with 3 meats, two vegetable sides and two slices of cornbread. I know it doesn’t look like, but it was enough food for two. The meat is quite filling. 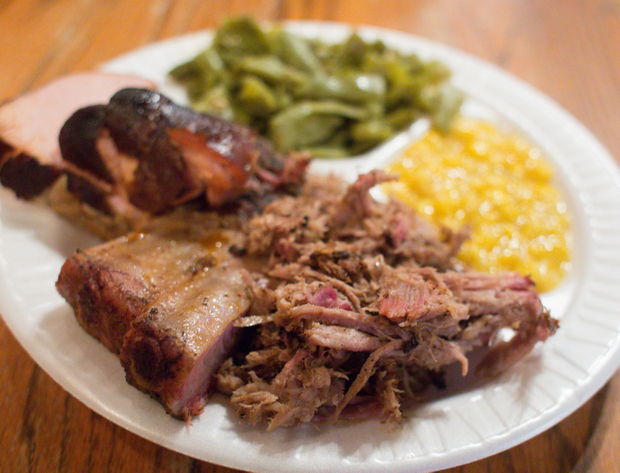 Our favorite was the Tennessee pork shoulder. 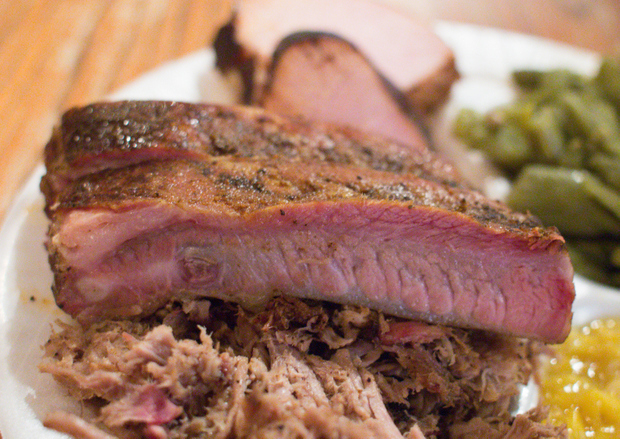 The slow cooked pork had a wonderful smokey flavor to it and was so tender and moist. Most of the pulled pork I’ve had in San Diego is drenched in sauce, but this was served without any and it really didn’t need it. 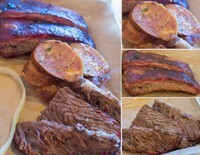 We also liked the brisket (not pictured because I forgot to take pictures of it from our second visit). The meat was slightly on the dry side, but it was still quite flavorful. The only thing we didn’t really like were the ribs. They were quite fatty. We wondered if it was a a bad bunch we got, but the next day when we went again, it was the same. 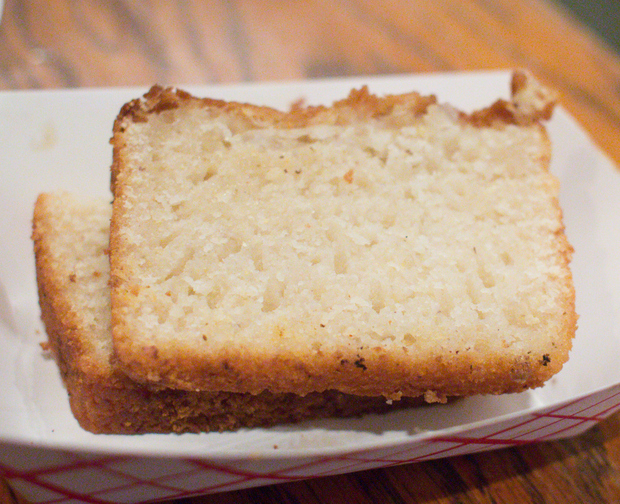 The cornbread was a bit tougher than other corn breads I’m used to. 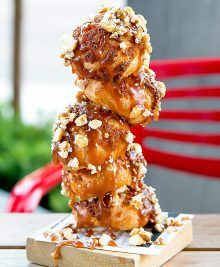 It actually reminded me of the Vietnamese honeycomb cake. 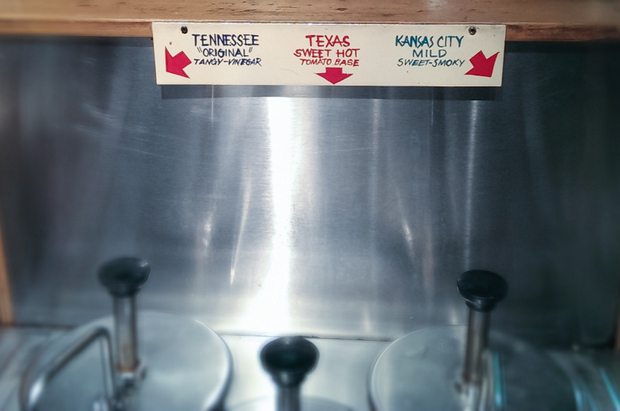 If you want bbq sauce, they serve three different kinds. I liked the Kansas City one the best. Overall though, we enjoyed our visits here. The food was quite decently priced (especially compared to BBQ in San Diego), and the portions were generous. 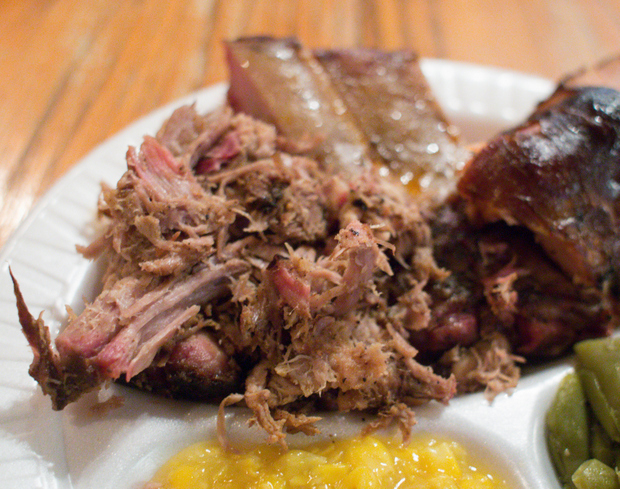 We really miss that Tennessee pork shoulder and the Texas brisket. Lucky! That sure looks delicious! 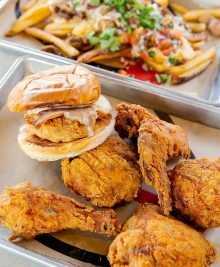 Do you have a fav bbq in San Diego? Coop’s! it’s the only one in Sd that was comparable to what we had in Nashville. I love that signage! It’s always nice trying a city/state’s regional specialties. Their bbq looks awesome. I miss the BBQ so much!